Drafts are detrimental to your family’s comfort during cold nights. They allow heat to escape through cracks around your home during the winter. Drafts account for an average of up to 10 percent on energy bills in the winter or 20 percent annually. Even though drafts are a common source of high energy bills, multiple solutions solve this heating problem. Finding, containing and fixing drafts is easy with Warner Service. Here's how to understand and cope with winter drafts in your home. Where are drafts most common? Most drafts are around windows. Your home's front and back doors are also victims to drafting. Heat escapes from the bottom of the door and through the framing. Chimneys are drafty by nature. Improperly insulated attics, basements, and garages cause massive heat loss. Any type of wiring holes, such as electric outlets, phone lines, cable television, and lighting fixtures, cause small drafts. Plumbing vents are less common for drafting, but it's possible. How can I find them around my home? If you feel a soft breeze when you stand close to a window or door, a draft is near. Turn off any appliance that creates an air disturbance, like the stove. Walk around with a lit candle or a stick of incense. If the flame flickers or burns out, a draft is near. Hang a plastic bag around a coat hanger, and place it around windows or doors that lead to the outside. If a draft flows in your home, the plastic bag blows. Call a professional to do a clean sweep of your home for drafts. How can I fix a draft in my home? Buy heavy, dark curtains for the windows to contain a draft. 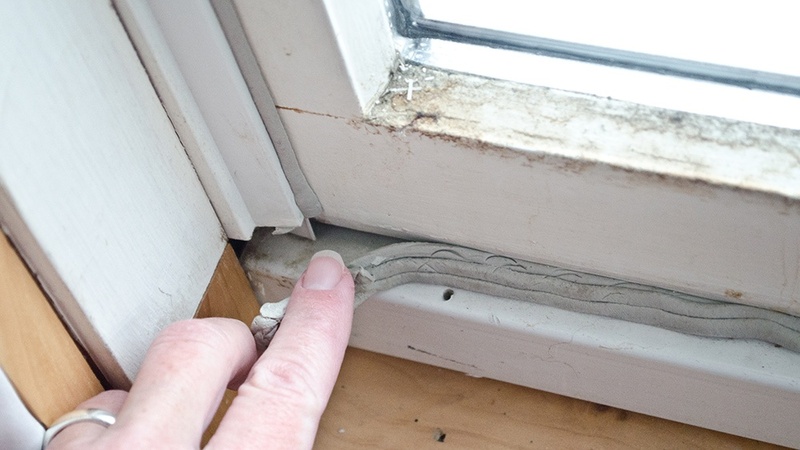 If you have an older home, re-caulk the windows. Place new self-adhesive vinyl weather stripping around the frame before every winter. Decrease the chances of a draft by purchasing energy-efficient windows for a long-term solution. Install a door sweep at the bottom of the doors around your home. This is especially important for doors that lead to the outside. Replace the screen door with a storm door. Storm doors catch the elements, including wind and harsh weather, as they come. This is a seasonal solution to this heating problem. When the fireplace isn't in use, cover and secure the opening. Examine your home attic, basement, and garage for proper insulation. Buy draft-proofing gaskets for all electric outlets. HVAC Pro Tip: Many homeowners prefer calling an HVAC professional to these do-it-yourself solutions. For an expert opinion on heating problems, call Warner Service. We'll identify where the draft is coming from and how to fix it. Drafts are one of the worst heating problems to have, especially during the winter. Windows, doors, electrical outlets, chimneys and fireplaces, and unoccupied rooms are all susceptible. It's possible to find a solution to this heating problem, though, with a few DIY techniques. Find dark, thick curtains; weatherstripping; caulk; and more to create a solution to this heating problem. If you prefer a professional’s help, call Warner Service for our heating experts.